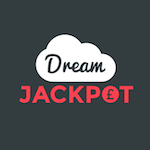 Your weekend starts earlier at Dream Jackpot. If you make a deposit on Friday, you can claim a reload bonus of 50% up to £25 on all slot games. Only existing gamblers from Great Britain are able to benefit from this offer. Claim the promotion from our page and make the necessary payments to receive it. You need to play through the bonus plus the deposit amount 35 times in order to cash out. Are you a serious online gaming player? Then this is right up your alley.